I was helping Vilkas go to the temple and on our way I made a pitstop at a dungeon. So, I'm curious if followers have levels and if so how to do you check it and get them leveled? Generally I don't take a follower because they ruin my sneak attack, don't do anything useful or end up getting killed because they stand right in front of me. If there is a similar question on here please direct me..I've searched but haven't been able to find anything useful as of yet. Followers have stats just like the player in skills and health. Those values are static and are set the first time you enter/load the zone that they are in. There are also maximum level caps for followers should your level be higher than that the first time you encounter them. For example, most people meet Lydia very early on and she'll end up being locked in with 100 health and skills in the 20s, so she won't be as effective as Jordis (the housecarl you get in Solitude) whom you'll usually meet much later on since the house costs 25k gold to purchase. First, remove all the gear from the follower (at least the ones that you want to keep). Click on your follower. When you do so, a string will appear at the top of your console that represents your follower's reference ID. After this, your companion will be 'reset' to match what your current level is. Their health and skills should be improved. Finally, keep in mind that all followers fall under a general category: warrior, thief, or mage. Lydia, for example, is a warrior and will never gain a sneak skill above 15 no matter what level you meet her at. While you can't change the archetype of a follower you can modify their skills. If you are a assassin/thief type character and you still want Lydia to sneak around with you. Open console, click on Lydia, type "forceav sneak 100" this will set her sneak skill to 100. A follower levels up according to the PC's level up to the follower's maximum level (which varies for each). With few exceptions, each follower has a maximum level, and a specific set of primary skills, which are dictated by their class. Prior to patch 1.6, a follower's skills, health, and other stats were set when they were first spawned (which is typically when you enter their starting cell, become a Thane, and so on) and would not increase as their level increased. Prior to the fixing of this failure of stats to update with patch 1.6, players could update a non-essential follower's stats so they would increase based on their current level by using the Wabbajack to polymorph them into another creature, after which their stats would update upon recovering their original form. Players of the PC version could also use certain console commands to fix any follower's inability to update their stats with each level. So in most cases, leveling up the player character will also make your follower level up, (the maximum and by how much, will depend on the specific follower and their NPC class). House yarls level up thmore you use them. But not other followers such as one you would find in a tavern. So if you use a specific character more then they will get stronger. But they do have limits, such as Lydia. She can level up in warrior skills but not much in magic or stealth. Every follower has a certain set of skills from the start. Since Skyrim patch 1.6 the level of followers scales with your level even after you met them the first time (although most followers have a maximum). You can find the the professions and maximum levels of every follower at the UESP and wikia wikis. There is a mod named Ask Follower Skills (Nexus/Steam) to check out the current level and the skills of your follower. Is it possible to realistically use Lydia for the entire game? When should I replace my companion? What is the optimal 'loadout' for Lydia? Does dualcast double gaining skill level? What other use do followers have? What's the least skill levels that will result in character level 81? Does “Summon Arniel's Shade” Level Conjuration Skill? 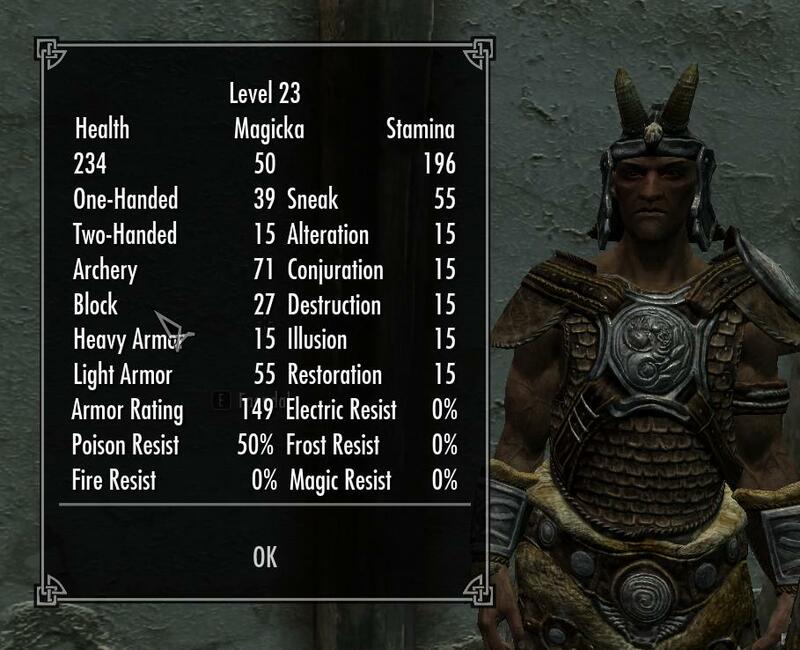 Which followers are a different level than the Dragonborn? Which followers will have their level changed when we use the setlevel command?